Bill has been a Trustee of the institution for over thirty years. 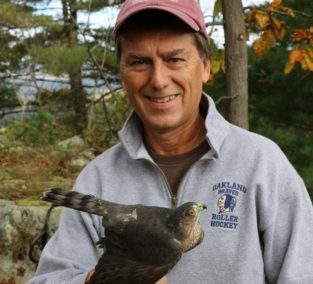 His interest in raptors began in the 1970’s when he began seeing hawks on his commute from his home in Bethesda to his job in Baltimore. 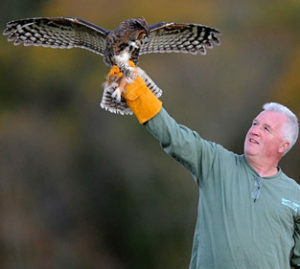 Upon moving to Millington in 1978, he met Len Soucy and has been hooked on birds of prey ever since. Bill has spent 45 years in the financial services industry and is presently a Principal in Red Hook Management, a Registered Investment Advisor in Morristown, NJ. Bill is married to Nancy Conger and the father of three grown children. He formerly served on the Board of Gill St Bernard’s School, and is presently on the Board of the Foundation for Morristown Medical Center. Bill graduated from the University of Maryland and is a veteran of Vietnam. Jim Currently works at Gill St. Bernard’s School in Gladstone, NJ where he has served as Director of Development for the past 15 years. Prior to that time he worked at Blair Academy (Blairstown) and for Drew University in Madison, NJ. Jim has been involved with The Raptor Trust since 1982. He was among – if not the first – to do a college internship at TRT. He continued to volunteer for years. 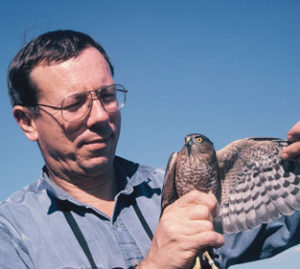 Among other activities initiated by his involvement with The Raptor Trust, he became a licensed bird bander in 1987 and has been involved with various raptor banding projects. He continues to be active with the Kittatinny Mountain Raptor Banding Station, an operation begun nearly 50 years ago by (the late) Len Soucy. Jim lives in Andover, NJ in Sussex County with his wife Regina. They have two grown children. All are huge fans of the work and the people of The Raptor Trust. Greg Tusar was most recently Head of Global Execution Services and Platforms at KCG Holdings. Mr. Tusar joined KCG in August 2013 from Goldman Sachs, where he spent 13 years, most recently as a partner and global head of the firm’s equities electronic trading business. Mr. Tusar helped Goldman Sachs expand its electronic trading franchise. Mr. Tusar was previously a limited partner at Spear, Leeds and Kellogg (“SLK”), when Goldman Sachs acquired the firm in 2000. He also worked for seven years at TLW Securities, most recently as its Chief Executive Officer, before it was acquired by SLK in 1999. He began his career at Mentor Graphics, an electronic design automation firm. Mr. Tusar served as a member of the board of directors of Per Scholas, a national nonprofit organization providing technology education and job placement in low-income communities. 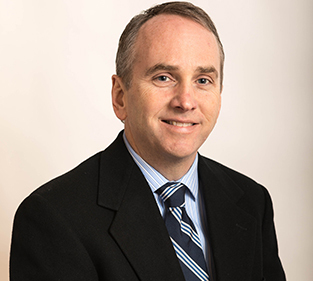 Sean Devlin is a partner with Engel & Devlin, PC, Attorneys at Law and maintains a practice in estate planning, probate administration and private foundation law. He also serves as a Trustee for several private foundations, including the E.J. Grassmann Trust, N.R. Leavitt Foundation and Union Foundation, is the Executive Director of a New Jersey based family foundation, and is counsel to an additional family foundation. Previously, he served as a member of the board and board president of George Street Playhouse in New Brunswick, NJ. He presently serves as a member of the board of The Raptor Trust in Millington, NJ and is a member of the finance and investment committees. 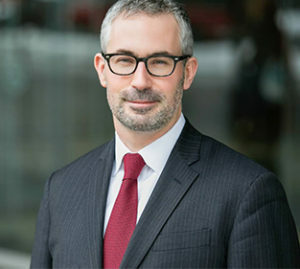 Sean graduated with a Bachelor of Science degree in Accounting, with honors, from Rutgers University in 1991 and from Seton Hall University School of Law in 1998. He is married with two children and enjoys golf and long-distance hiking. Artist James Fiorentino was the youngest artist ever inducted into the prestigious New York Society of Illustrators. Known for his realistic images of sports icons, presidents, Nobel Prize winners and other notables, his award-winning art is showcased in museums, galleries and private collections across the globe. James’ trademark wildlife work has been shown by the San Diego Natural History Museum; The Nature and Art Museum in Gloucester, England; The Society of Illustrators Annual Exhibition; Artists for Conservation and The Conserve Wildlife Foundation. James is a signature member of the Society of Animal Artists and Artists for Conservation in addition to the American and New Jersey Watercolor Societies and the Salmagundi Club. He also serves as a trustee for The D & R Greenway Land Trust. 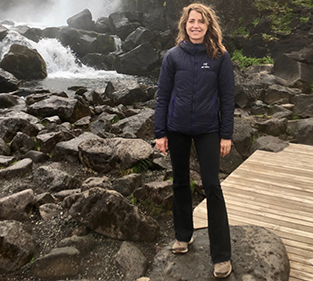 Nancy Miller Rich joined The Raptor Trust Board of Directors in 2010, after getting to know the organization while serving on the Board of The Great Swamp Watershed Association. Nancy recently retired from Merck where she was Senior Vice President, Business Development, Strategy and Commercial Support for Global Human Health. Perhaps it was her constant international flying that got her interested in our avian friends. Nancy took the lead in obtaining donated medicines for TRT from Schering Plough and Merck animal products divisions. Nancy serves on the Board of Directors of Deirdre’s House, the Morris County Center for Child Victims of Abuse and Neglect, and UDG HealthCare, a publicly listed company. She is a leadership and management consultant with GLG in New York City and is heavily focused on the biotech industry. Nancy is a high-energy person who works out daily, and lives in NJ and New York City. Prior to her retirement in 2017, Ms. Russell was Senior Vice President and Chief Ethics and Compliance Officer; Associate General Counsel, of Becton, Dickinson and Company (BD), a global medical technology company. Prior to that role, she served as Vice President, Associate General Counsel and Chief Employment Counsel. Before joining BD, Ms. Russell was a senior associate at McCarter &amp; English in Newark, New Jersey. law, investigations, sales practices and business strategy. 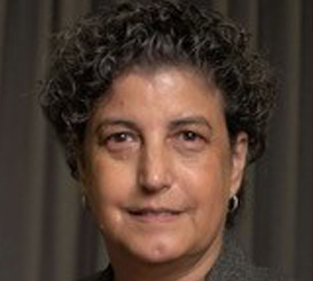 She is a civil mediator in New Jersey and New York, and an adjunct faculty member of Rutgers Business School. In addition to The Raptor Trust, Ms. Russell serves on the board of trustees of Act Now Foundation – Alzheimer’s Resource Center of New Jersey, the advisory board of Rutgers Law School Center for Corporate Law and Governance, the board of directors of the Dispute Resolution Section of the NJ State Bar Association, and the bioethics committee of Overlook Medical Center, Atlantic Health Systems. Caroline retired from the Capital Group Companies in 2009 after a long careers as an equity analyst and promptly began volunteering in the rehab center at the Raptor Trust on Thursday mornings. 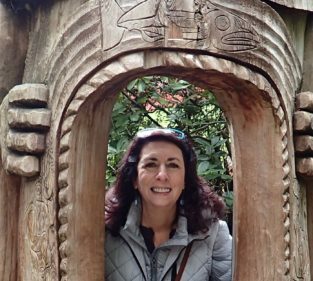 She had been visiting for years and was inspired by the Soucy’s spirit to make a difference in the world, by actually helping injured birds survive. Working with the staff and in the facility has deepened her attachment to the Trust and improved her birding skills. 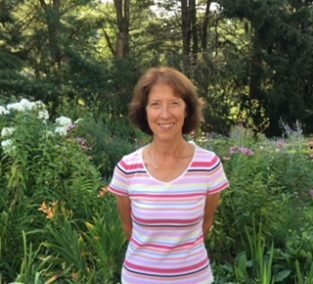 Caroline also serves on the board, as Treasurer, of the New Jersey Historical Garden Foundation, which maintains the Cross Estate Garden in Jockey Hollow National Park. Rick Weiman is a Technical Manager in the Procurement Department at GAF in Parsippany, the world’s largest roofing manufacturer. He also helps lead GAF’s sustainability efforts in a volunteer Green Champion role that the company has at every location. Rick has been involved with the Trust since he first visited and met Len Soucy in 1990. He has helped forge partnerships with the Trust and companies he’s worked for ever since by organizing Earth Day and employee events involving the Trust, leading product donations and financial support. Rick has coordinated many employee, school and scout educational outings at the Trust, as well as employee volunteer work days. 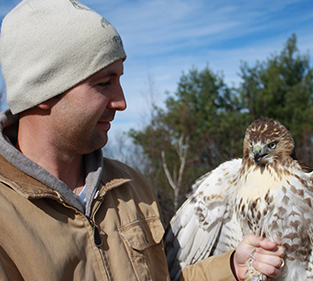 He is currently a volunteer raptor runner, transporting injured wild birds down to the Trust whenever his schedule allows. Rick lives in Oakland, NJ with his wife Patricia and two teenage children, Jack and Annabel. He presently serves as a board member of the Conserve Wildlife Foundation of NJ and is an avid birder and youth hockey coach. Hon. Thomas H. Kean, Sr.